Tuesday was a historic day in Chicago and at Wrigley Field on the city’s north side. For the first time in the history of the Friendly Confines, a postseason series was clinched on its turf. And given how the Cubs won their National League Division Series, you may say it was worth the wait. This series also marked the first time ever that the Cubs and Cardinals squared off against each other in the playoffs. Each franchise has been around for over a century, but never had they met in the postseason until this year. The fact that the Cubs were able to win their first ever playoff series at Wrigley Field and that it came at the expense of the Cardinals made this victory that much sweeter. Cubs fans have been told all about these promising young prospects down on the farm for the past three years or so, and how they would one day be the faces of the franchise. Well, we weren’t lied to. It was those once “promising prospects” that won this series over St. Louis in four games. 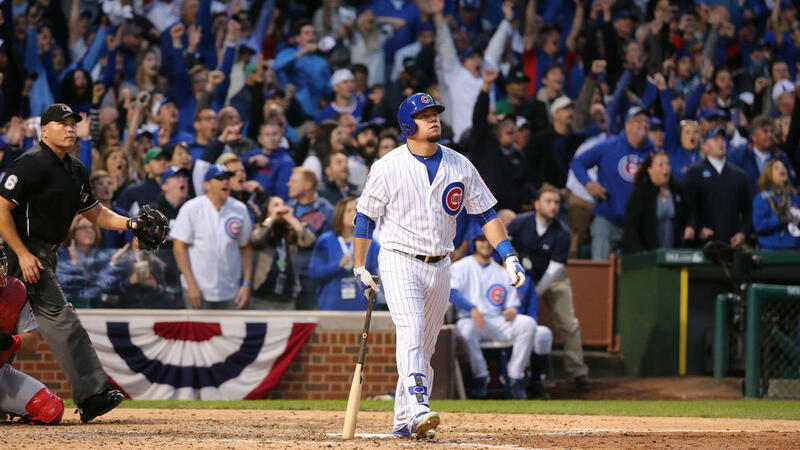 Baez, Bryant, Castro, Rizzo, Schwarber, and Soler all went deep at least once in the NLDS and accounted for 9 of the team’s 10 home runs hit in the series. It was a power-barrage unlike anything that we’ve ever seen before. If teams around the MLB weren’t already aware of who the Cubs are and just how good they can be, they sure are now. By defeating the Cardinals, the Cubs won just their second postseason series since 1908 and are now returning to the NLCS for the first time since 2003. Let those stats sink in for second. These last two games played at Wrigley Field were unlike anything any of these Cubs players have ever witnessed before. The stadium was deafening for each home run, big hit, two-strike count on an opposing hitter, and basically for every out made by the Cardinals. Word on the street is that the Wrigley Field press box even shook a few times due to the bedlam taking place in the stands, and that was just for the NLDS. The atmosphere at Wrigley from here on out might be something that none of us, not just the players, have ever seen before. I say “old” because this is a new team with a new attitude and a new identity. Just a year ago, they won only 73 games while finishing in last place in the NL Central Division. Jump ahead to this season, and they’re a 97-win ball club with unparalleled confidence and swagger. They are too young and too dumb to realize the amount of pressure that they’re actually under to finally win a championship. They also couldn’t care less about any goat, black cat, fan interference play, or anything else that people like to stack on to that list. It is because of that mindset, due in large part to their manager Joe Maddon, that this team may just be the perfect combination of players to finally win a World Series for the Cubs. The Cardinals were without a doubt a stiff challenge, but with the stakes raised even higher now in the NLCS, the Cubs can expect their toughest opponent yet in either the Mets or Dodgers. People want to say “I’d rather play the Dodgers!” or “I want to play the Mets!” To me, that’s the worst thing you can do. The second you wish for a certain opponent, they beat you. Just let that other series play out and take whoever you get. Have confidence in the Cubs for once, and quit worrying about their opponent. 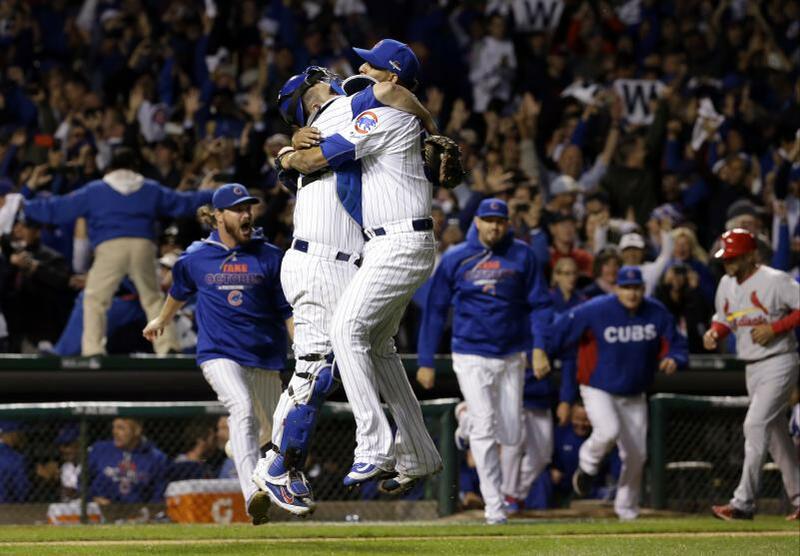 The Cubs are on to the the National League Pennant, and now is when things start to get real. This should be a fun couple of weeks. With today’s win over the St. Louis Cardinals, the Pirates moved to within one win from advancing to the National League Championship Series for the first time since 1992. And how fitting that they decided to wait 21 years until possibly making their return trip to the LCS. Any Pirate or Roberto Clemente fan understands what I mean. After collapsing during the second half of the season each of the last 2 years, the Pirates finally finished this regular season strong and clinched a birth into the National League Wild Card Game. There, they defeated the Cincinnati Reds in front of a sold out, electric crowd to advance to the NLDS against the Cardinals. In Game 1 against St. Louis, A.J. Burnett had a tough outing and the Pirates lost 9-1. It looked like it may be a rough ending to Pittsburgh’s season. However, the Bucs came back in Game 2 and won 7-1, sending the series back to Pittsburgh dead-locked at 1 apiece. In today’s Game 3 in front of the largest crowd ever at PNC Park, the Pirates won by a final score of 5-3 in what was a very close, nerve-racking game for any fan of either team. Game 4 will be played tomorrow afternoon, and with a win, the Pirates will advance to the NLCS. Once the Pirates clinched a postseason birth, I have been pulling for them since. This is a team that had the fourth lowest payroll in baseball heading into the 2013 season, and they are full of scrappy, hard working players that just want to win. They aren’t the Yankees who buy their way to success every year, and they aren’t a team full of hot-headed players who only care about themselves. The Pirates are the definition of what a baseball team should be. Marlon Byrd, who was acquired after the trade deadline by the Pirates, has turned out to be a huge acquisition for Pittsburgh. Since the All Star break, Byrd hit .318 with a .357 OBP and a .486 SLG percentage. Today, Byrd was 2-3 with 2 RBI, 1 walk, and 1 run scored. Russell Martin, acquired last off season by the Pirates, could arguably be this team’s MVP up to this point in the playoffs. It was Martin who had the 2 home runs in the Wild Card game against Cincinnati, and it was Martin again who had 2 key RBI’s in today’s 5-3 victory. A.J. Burnett will likely be tomorrow’s starter for the Pirates, and hopefully he’ll have a nice bounce-back game after his Game 1 meltdown. I would like nothing more than for the Pirates to clinch the NLDS in front of their home fans tomorrow. Pittsburgh fans are some of the most knowledgeable fans in baseball, and finally they have something to cheer about.